From Al Wasl Road: Heading towards Dubai, turn right on to Hadiqa Street heading toward Sheikh Zayed Road with Safa Park on your left. Just before getting to SZR, take right turn towards JESS. Take first left and then second right. Head three quarters of the way down the road, villa is on the right. From Sheikh Zayed Road: Take Junction 2 exit for Hadiqa Street. 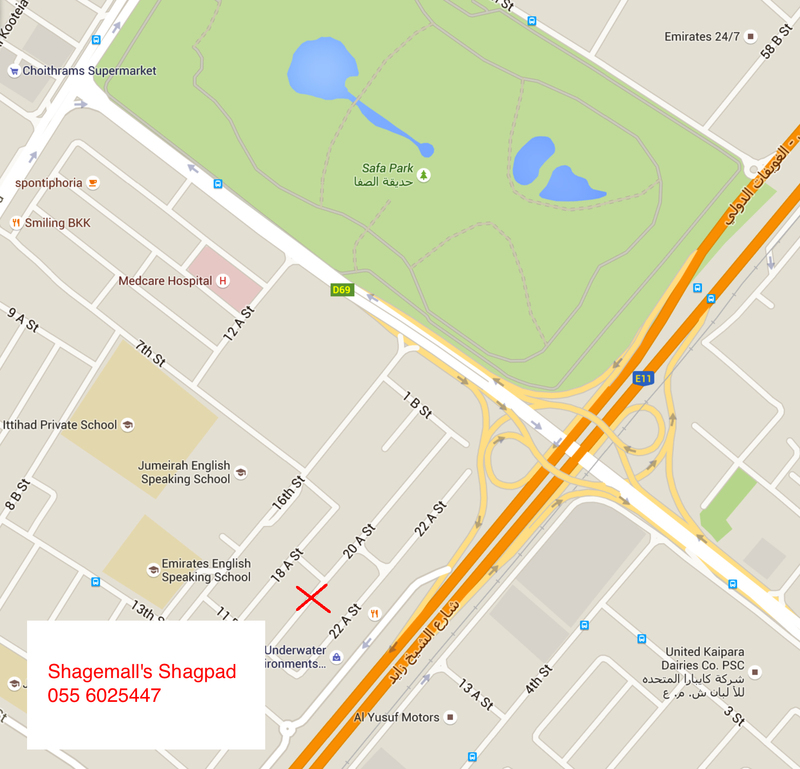 Head towards Al Wasl Road with Safa Park on your right. Take the first U-turn. Just before getting to SZR, take right turn towards JESS. Take first left and then second right. Head three quarters of the way down the road, villa is on the right.